This project involved the construction of the proposed commercial retail building, utilizing slab on grade construction, located in Ottawa. before construction could begin, soil improvement was necessary to support the new building loads. A layer of loose to compact fill was encountered across the site and classified as unsuitable to support the store foundations in its present state of compaction. 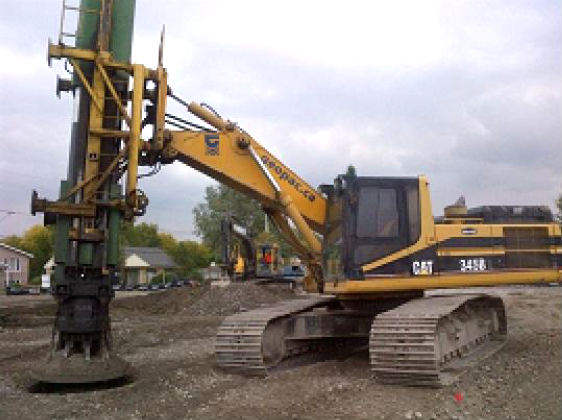 Geopac proposed a ground improvement approach of Rapid Impact Compaction (RIC) using the GeopacTOR to compact the upper soil, providing a stable foundation. some gravel and clay fill, underlain by native firm to very stiff silty clay. Groundwater levels were measured between 2.4 and 3.7m below existing ground. The total area improved using Geopac’s GeopacTOR, RIC solution was 2,500 m2. Based on Geopac’s design, a 9 ton steel weight was dropped from a height of 0.9 m, up to 40 times per minute, across the entire building and parking area. The RIC program was completed on schedule, with all tests achieving better than intended results. The bearing capacity achieved was raised from the intended 70kPa, to a guaranteed 100kPa at the building location. 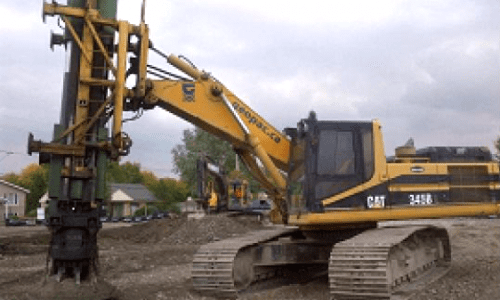 Geopac delivered a value engineering solution of soil improvement providing a cost-effective method of ground improvement appropriate for the site.